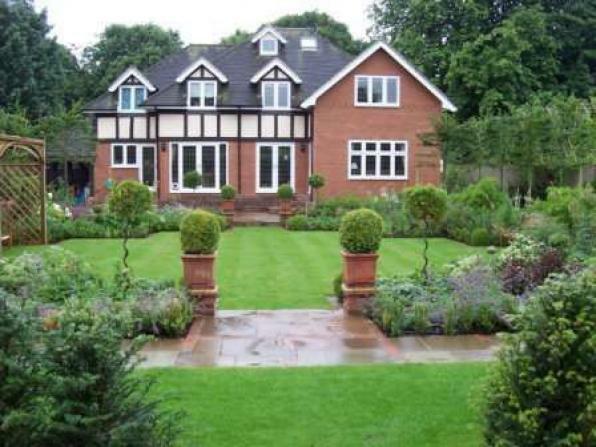 A beautiful house set in a leafy road just outside Marlow, Buckinghamshire; this was the home of a successful couple with two children. 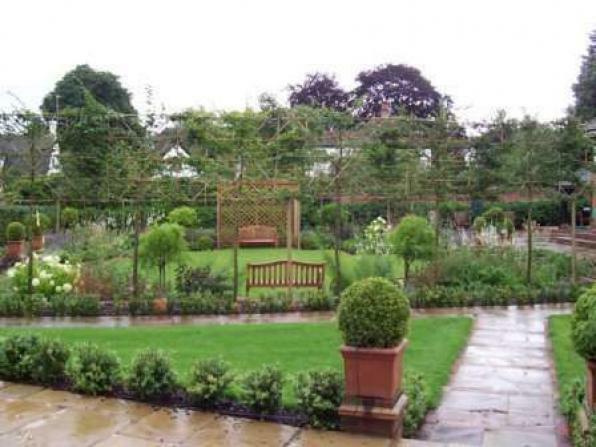 The brief was to have a formal garden to suit the house, to include a swimming pool, an area for the children to play including a trampoline, and room to house a boat as for at least 1 month a year the garden was regularly flooded. 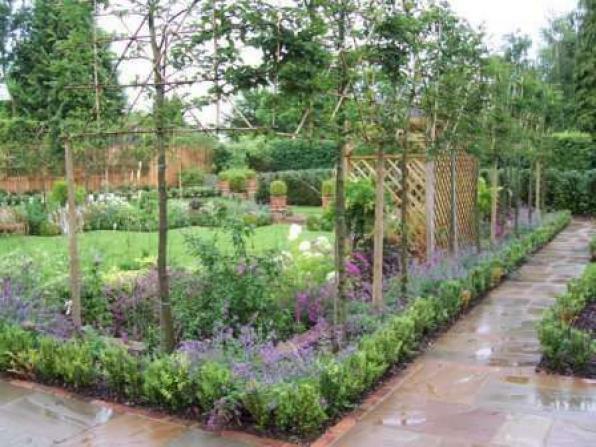 We hadn’t designed for a formal flood garden before and found the challenge fascinating. 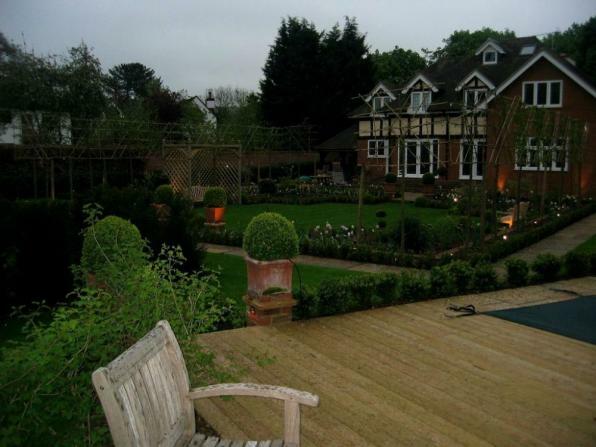 The garden was also quite an unconventional shape so we wanted to draw attention away from that. 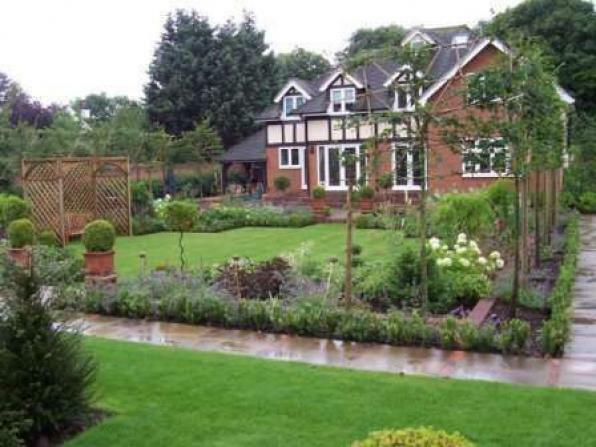 We divided the garden into distinct zones; a formal sunken square garden formed the main focus, mass planted borders edged with clipped box and box balls, and a smaller white scented garden. In the middle of the scented garden we commissioned a David Harber sundial, on which is inscribed the clients’ personal legend. 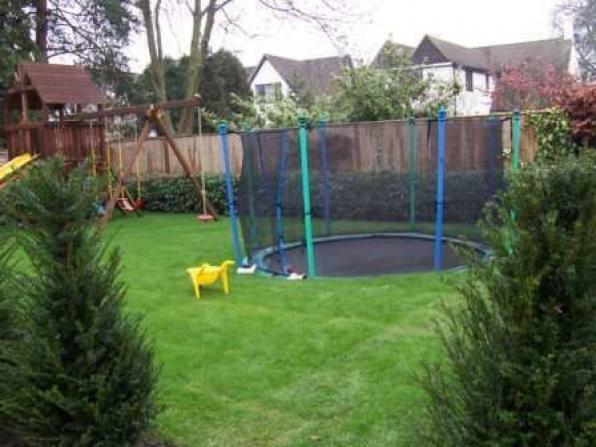 To the side and masked by a row of pleached trees, is the children’s area with a sunken trampoline. 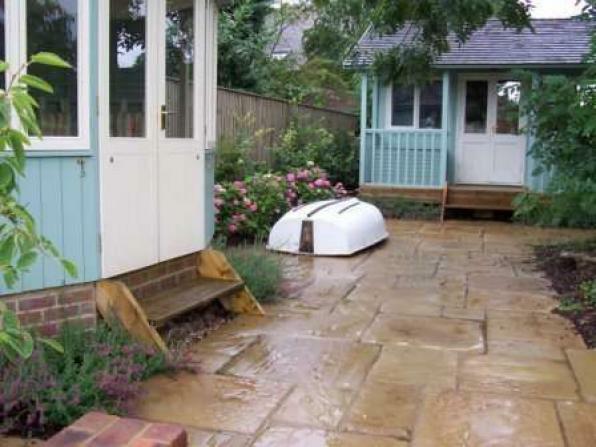 The swimming pool was placed on higher ground, with a boat house and a changing house behind. 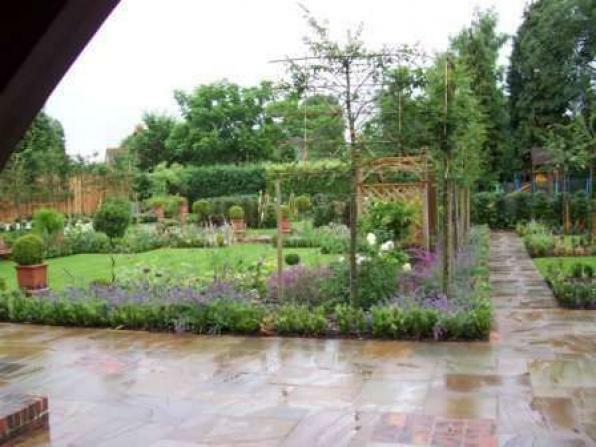 The client loved the plan and all the planting has survived the many floods!